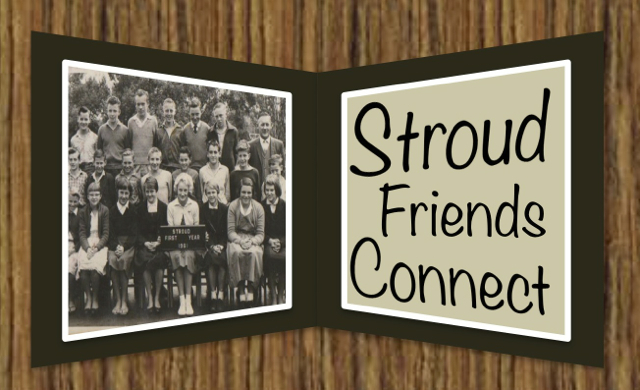 A space for Stroud residents both past and present to connect. Are you or your friends in these school photo’s? Hi everyone. First of all John Chadban is my cousin that is why I asked for his assistance in naming pupils. I was born in Stroud and moved to Newcastle when I was 15 were I stayed until 1961 when I joined the railways were I stayed for 40 years. I moved around a fair bit with the Railways each time taking promotions. I worked in Sydney, Wollongong, Back to Newcastle then Broken Hill, Grafton. Then back to Sydney working in various locations . I worked in the wagon maintenance section and finished in charge of the metropolitan area. In the early days I went back to Stroud on a regular basis as my parents still lived in Stroud (my father was the baker for many years.) It wasn’t until later when I retired that I got back to Stroud. We moved to Lemon Tree Passage and enjoyed many a day trip to Stroud looking at old places and remembering the old days. I’ve been married for 48 years and have a son and a daughter and 4 grandchildren. Our Daughter is married to a Flt Lt. in the air Force a lives in Adelaide and our son is in the NT police force after serving 22 yrs in the air force. We left Newcastle 2 years ago and moved north as air services to Adelaide and Darwin are direct flights from here. Hi, my name is Glenn Greenham, I lived on a dairy farm on Mill Creek Road Stroud. I attended Stroud Central school from 1954 to 1962. In 1963 I left Stroud for work else where still returning to Stroud for visits. In 1970 returned to Stroud and worked on a dairy farm on Mill Creek Road for a while and then returning to Newcastle for work. My last connection with Stroud was in 1983 when I was captain/coach of the RAAF Williamtown rugby league football club where we played against Stroud in the competition. I plan to visit Stroud in February 2013. I am looking forward to seeing my old hometown after all these years, I can only assume there has been a lot of changes made and alot of people I wouldnt recognise now.